You know that one of these days our limited resources are going to run out. That's why you feel a certain responsibility to help find a better way of doing things here on planet Earth. 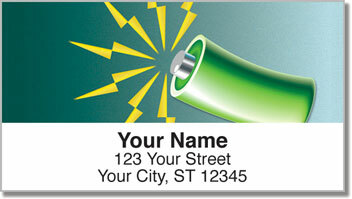 This eye-catching return address label design features some of the best ideas so far. From wind power to solar energy - there are other options out there. Save a little of your own energy when you use this product to complete your outgoing mail. 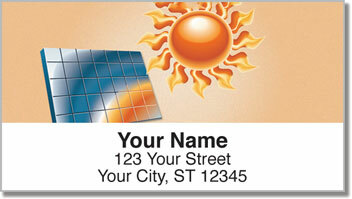 Instead of painstakingly printing your name and address on every envelope, just stick on these self-adhesive labels. 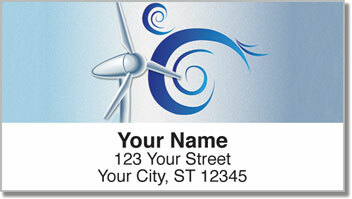 Get your own Alternative Energy Address Labels from CheckAdvantage right now! 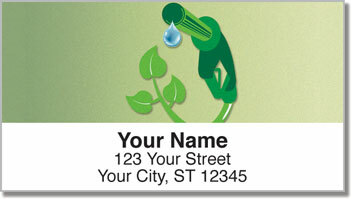 You can also order a matching personal check design.